An SDDC (software-defined data center) is a data storage facility in which all infrastructure elements -- networking, storage, CPU and security -- are virtualized and delivered as a service. Deployment, operation, provisioning and configuration are abstracted from hardware. Those tasks are implemented through software intelligence. Former VMware CTO Steve Herrod is widely credited with coining the term around 2012. An SDDC is currently more of a concept than a commonly implemented practice, but it has seen incremental adoption by cloud service providers and data-center-as-a-service providers. The list includes Amazon, Google and the Open Compute Project. Network virtualization combines network resources by splitting the available bandwidth into independent channels that can each be assigned -- or reassigned -- to a particular server or device in real time. Storage virtualization pools physical storage from multiple network storage devices into what appears to be a single storage device managed from a central console. Server virtualization masks server resources, including the number and identity of individual physical servers, processors and operating systems (OSes), from server users. The intention is to spare users from managing complicated server-resource details. It also increases resource sharing and utilization, while maintaining the ability to expand capacity at a later date. A business-logic layer is needed to translate application requests, policies and service-level agreements. A software-defined data center is a way to dynamically configure and provision applications, infrastructure and IT resources. The design allows the data center to be managed as a unified system or aggregate set of domains. A key factor is the separation of control planes and data planes. An SDDC provides an organization with its own private cloud for better control of hosted data. Software-defined data centers capitalize on the agility, elasticity and scalabilty of cloud computing. The chief advantage is automating all functions through intelligent software, especially manually intensive tasks related to provisioning and operational management. This allows for a high degree of flexibility within a traditional data center. Resources are pooled and provisioned in the manner of a private cloud or hybrid cloud. Workloads operate independently of the physical IT infrastructure. Both infrastructure management and workload management are controlled programmatically. The intended result is to reduce cost and management overhead. An SDDC is composed of different components from various vendors. That complicates planning and integration of SDDC architecture, although enterprises can avoid vendor lock-in as a result. The software-defined data center evolved from x86 server virtualization, which VMware introduced around 2006. Processing power and memory are decoupled from hardware and presented as shared resources. Instead of running on bare metal, each application is contained in a virtual machine, which hosts a full guest copy of the OS. VMware vCloud Suite is an integrated tool for building and managing a vSphere private cloud designed on SDDC architecture. The SDDC market is broken into segments relating to products for software-defined compute, software-defined networking and software-defined storage. IT analyst firm Gartner estimates the SDDC market will top $83.2 billion by 2021, a 27% compound annual growth rate from 2016. There are two approaches to fully virtualizing a data center. The first is transitional, in which existing hardware and equipment runs in parallel with newer SDDC gear. The second approach involves integrating existing and new equipment within a unified data center fabric. Just as isolated networks evolved into the internet, SDDCs are expected to have a similar impact on computing in the data center. The ability to abstract the application layer from underlying physical hardware allows an application to be served from multiple data centers. SDDC provides a common virtual infrastructure for migrating computing resources on demand between private, public and hybrid clouds. As SDDC matures, the abstraction of data center technologies by software requires enterprises to revamp IT security. Heightened collaboration between security and virtualization teams can help identify and defuse potential threats. Integrating security in software enables an organization to quickly adapt and orchestrate policies to counter emerging threats. An example is setting security policies based on the application, its content or users. 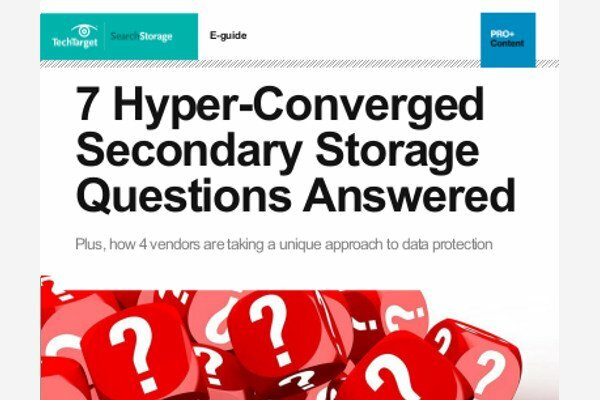 How well do you know the latest SDDC trends? How are you evaluating the idea of a software-defined data center?